In this charming and delightful book, Kevin McNamee tackles the issue of sibling rivalry in a fun and unique way. When Brianna, the oldest of two sisters, complains about her younger sister, Julianne, she tells her mother that she wants a new sister. Julianne is always bugging her, and following her around, wanting to do what she does, and it’s plain old annoying. So, Mom calls up the Sister Exchange and asks to trade in Julianne. That’s when Brianna learns something surprising about Julianne and herself. The Sister Exchange is one of those stories that will make you feel good by the time you reach the end. As your child follows along Brianna’s journey to trade in her sister, they learn how special siblings can truly be; that despite those little things about them that might bug you, you’re lucky to have them around. 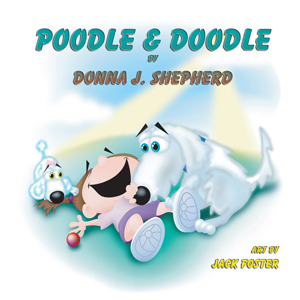 In a fun and engaging way, McNamee has taken a serious issue and turned it into a story that will delight your children. The illustrations by Kit Grady are the perfect compliment to this story. I was already a fan of her work, but she’s outdone herself in her creation of these two sisters and the many humorous illustrations of the potential sister replacements; though I have to say that Hissy the cat is my favorite. A great story with a superb ending, The Sister Exchange by Kevin McNamee is definitely a book you’ll want to share with your little girls. 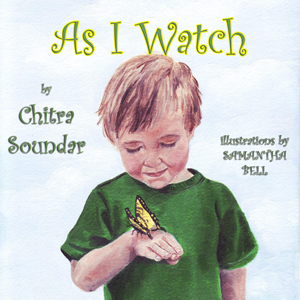 As I Watch, a Littlest Angels by Author, CHITRA SOUNDAR and artist SAMANTHA BELL. Read about how a tiny egg changes into a creepy crawly and then into a colorful, elegant butterfly. The repetitive text helps young readers to join in the reading. 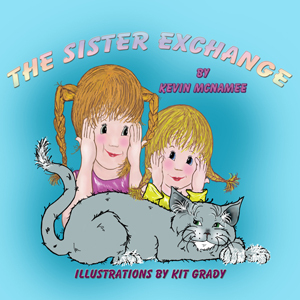 The Sister Exchange, a Littlest Angels by author KEVIN MCNAMEE and artist KIT GRADY. Dealing with sibling rivalry in a fun and creative way, The Sister Exchange reinforces the bond between siblings, and increases reasoning skills through comparison. 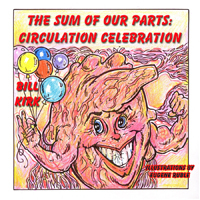 Circulation Celebration: The Sum of Our Parts Series, an Academic Wings, by author BILL KIRK and artist EUGENE RUBLE. www.guardianangelpublishing.com/circulation.htm “Circulation Celebration” is an anatomical rhyme which is all about the blood inside you and how the heart keeps it circulating so all of your tissue cells get fed and stay healthy. We’ll be reviewing Poodle & Doodle and The Sister Exchange, along with If I Could Be Anything by KEVIN MCNAMEE, which was released by Guardian Angel Publishing in November 2009.